When I looked back at all the recipes I’ve tried since last Friday, I was amazed. How did I find the time?!? The answer is that my husband was out of town for a few days. I love spending time with him, but I also relish time by myself and time tinkering in the kitchen. The more experience I’ve gained in the kitchen, the more I have learned to read a recipe and decide if I even want to attempt it based on the ingredients and process. While this still holds true with most main dish recipes (like the meatballs I’m sharing today), I have entered a whole new world with baking since going gluten- and egg-free and trying to be as sugar-free as I can. There have been many baking “fails” in my kitchen in the past couple of years as I’ve adapted to this new way of eating, so when I find good recipes, I share! I don’t want others to have as many fails as I have. This week I tried out two new baking recipes, one new dinner recipe, and enjoyed a dinner recipe that has become a staple for me. With nary a fail among them. Huzzah! 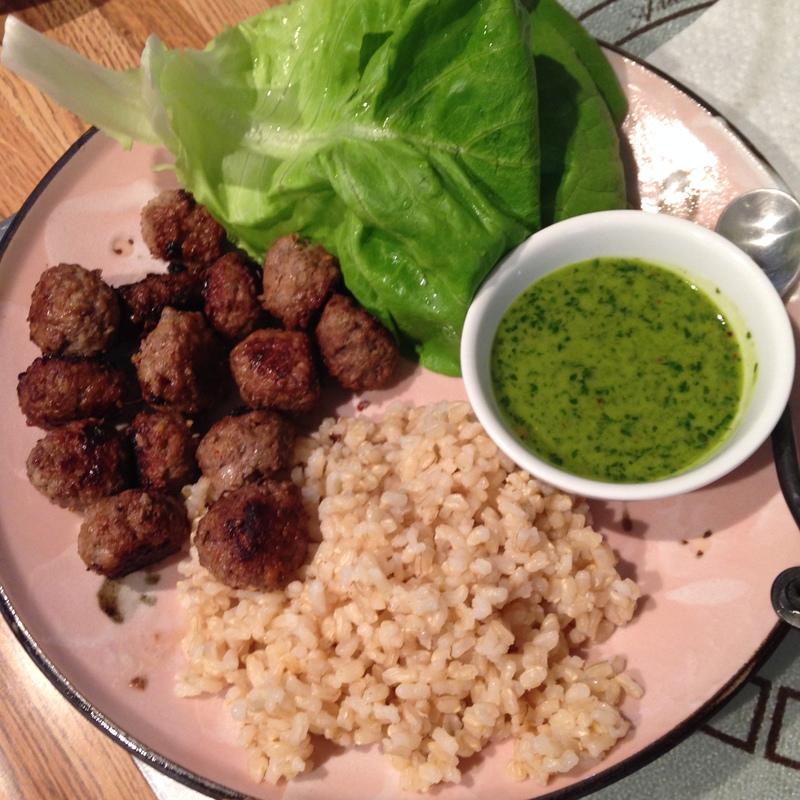 Mini Asian Meatballs in Lettuce Cups: If you know me, you know I have a knack for finding free magazine subscriptions online. I recently snagged one to Martha Stewart’s Living and didn’t expect to find allergy-friendly recipes in it, but lo and behold, this one was mostly safe and entirely delicious. It calls for a mayonnaise sauce, which I can’t do, and I don’t think fish sauce technically fits my diet, but I used it anyway because it’s like only a teaspoon. I used grass-fed beef in the meatballs and whipped up my own drizzling sauce with cilantro, garlic, lime juice, olive oil, and spicy crushed red pepper flakes. I served it with brown rice to help the meat go farther, but ultimately there was not enough left over to constitute another meal for two. Next time I make this I will have to double the recipe, because the only thing worse than slaving over a meal– no matter how delicious– is having to do it all again the next day. 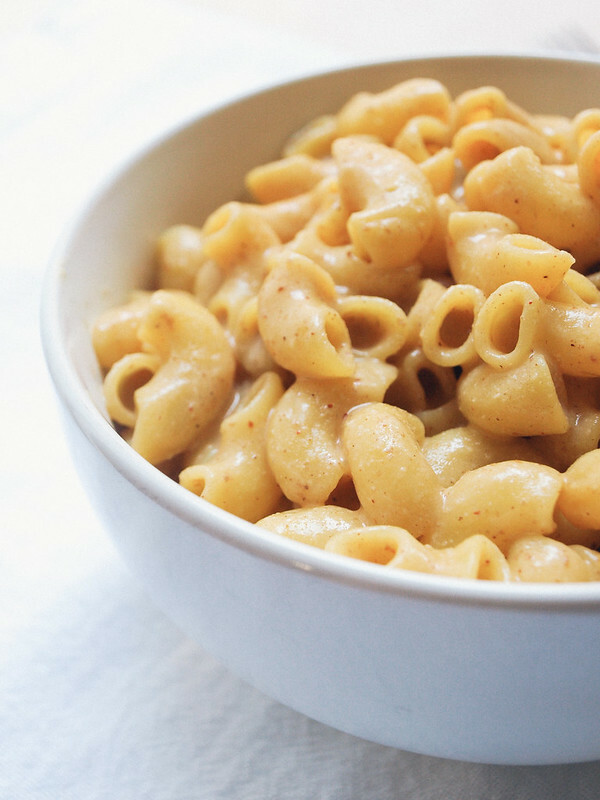 Easy Spicy Mac ‘n Cheese: This recipe from the Simple Veganista is surprisingly good, but probably not for every palette. I love it because I can’t eat normal things and have, in fact, all but forgotten what many normal things even taste like, so this does the trick for me. Is it pasta? Is it yellow? With a tangy flavor? Good enough. The only change I make to this recipe is to stir in some shredded almond cheese (about 1/4 cup) to give the sauce more of a melty, almost-actual-cheese consistency. I’ll freely admit that this stuff tastes kinda weird, but I happen to like it. I like it so much that I ate it as part of a nutritious dinner three nights in a row while Mike was away. And I might eat some more for a late lunch today! 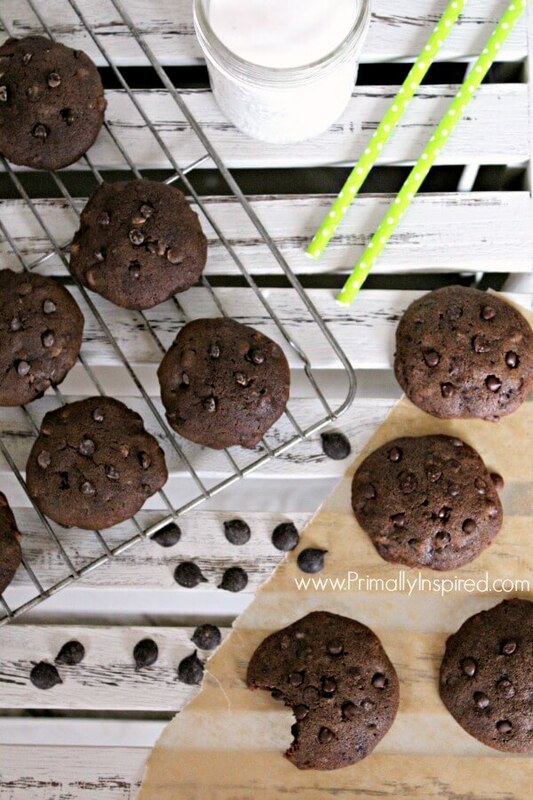 Double Chocolate Peppermint Cookies: These cookies from Primally Inspired are probably even better if you use eggs and dairy and sugar, as called for in the recipe. But I used flax and coconut oil and stevia and ended up with a dry-but-tasty batch of lumpy cookies. They’re dunkers, for sure. But like I said before: if you’re not eating normal things, a dry cookie is better than no cookie at all. Next time I might add some honey and experiment with my flax “eggs” to see if I can get the cookies to spread and flatten in the oven, but in the mean time I’m not having any trouble snacking on them. 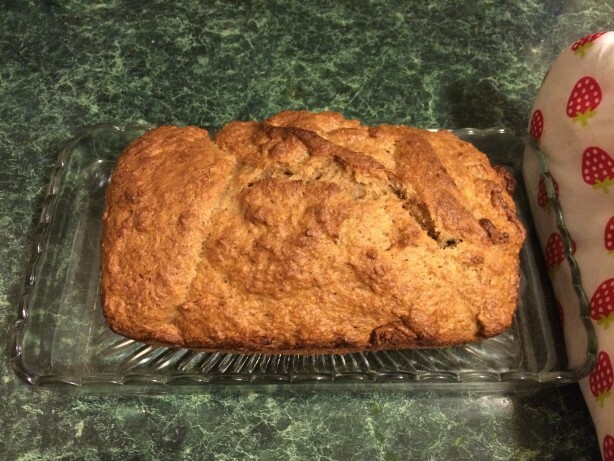 Simple Vegan Banana Bread: This was a Pinterest find that caught my eye because there were some bananas on my counter that were growing spottier by the day, and I knew I couldn’t eat them all by myself. So I threw 4 into this recipe and was pleased with the result. Any time a recipe is already eggless and can withstand my substitutions I hold onto it. Next time I might add a little more baking powder to get more rising action, but it really was good with my gluten-free flour blend and stevia in place of sugar. I had a big slice with my breakfast this morning. If you are like me and can’t eat normal things, check out my allergy free meals/sides and allergy free treats boards on Pinterest! Happy weekend, and bon appétit!